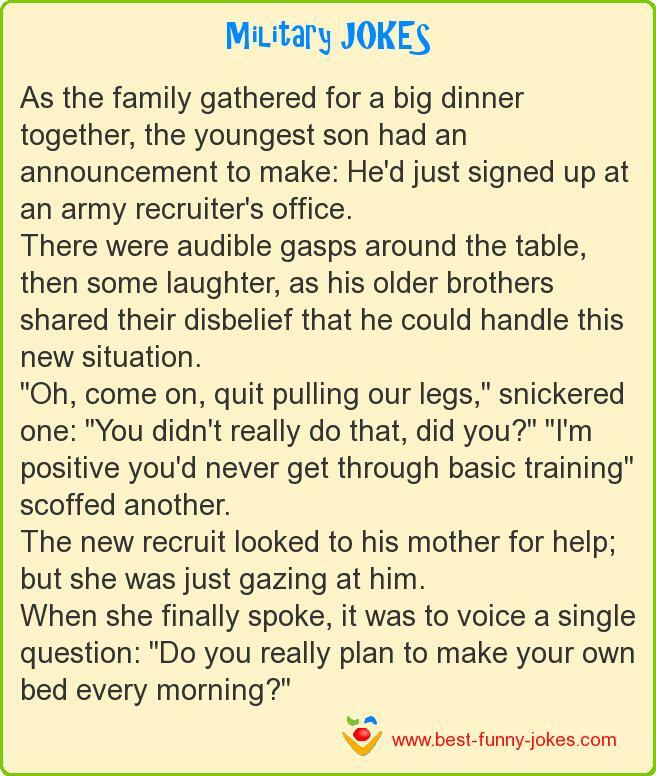 As the family gathered for a big dinner together, the youngest son had an announcement to make: He'd just signed up at an army recruiter's office. "Oh, come on, quit pulling our legs," snickered one: "You didn't really do that, did you?" "I'm positive you'd never get through basic training" scoffed another. The new recruit looked to his mother for help; but she was just gazing at him. When she finally spoke, it was to voice a single question: "Do you really plan to make your own bed every morning?"